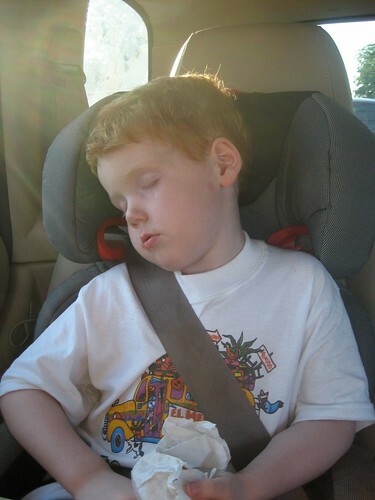 I’ve been such a slacker with updates this summer. It’s not that we haven’t been doing anything, but I guess it just hasn’t been anything worthy of reporting. We did, however, make a trip to visit my family in Pennsylvania for the 4th of July holiday. It’s such a long drive, but always worth it once we get there. 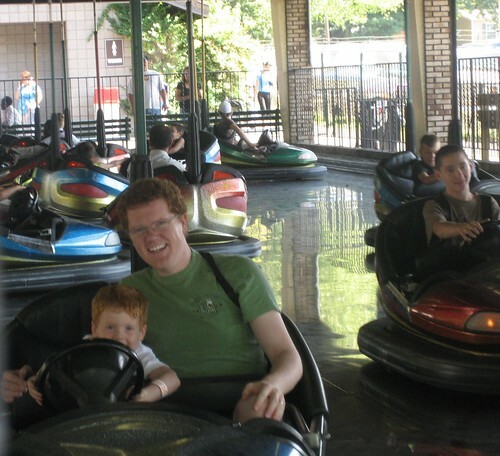 This year, we took Alex to Waldameer Park and Water World, though we skipped the Water World part this time. When I was younger, my mom’s employer had a company picnic there every summer, so I have lots of fun memories of the place. It’s a small amusement park by today’s Six Flags standards, but it’s great for something local and inexpensive. 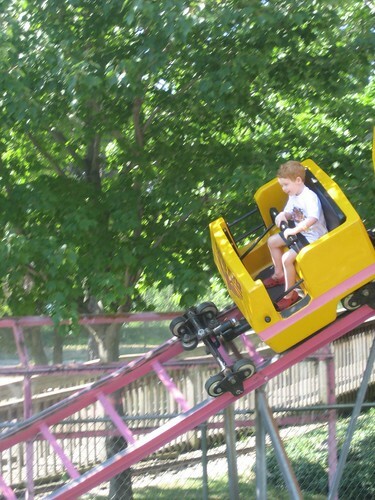 They don’t charge admission to the park itself, so if you just want to get a pass for the kids and hang out for the day, Waldameer is your place. If you ever find yourself in the Erie, PA area, I highly recommend it. 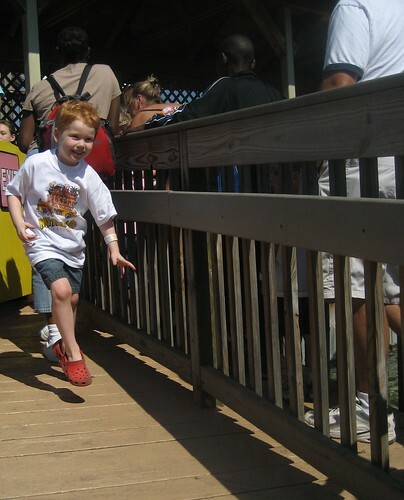 It was Alex’s first time ever at an amusement park, so we didn’t really know how he would handle it. Turns out I didn’t have anything to worry about. The boy has no fear. Zero. And as long as there’s a ride on a roller coaster after the wait, he will wait in any line. He rode the merry-go-round once, bumper cars once, the Spider once, rode through the Whacky Shack one time, and rode the Ravine Flyer 3 twenty times. (I think it was really only 12 times, but my 4 year old editor is standing over my shoulder making me write twenty times.) 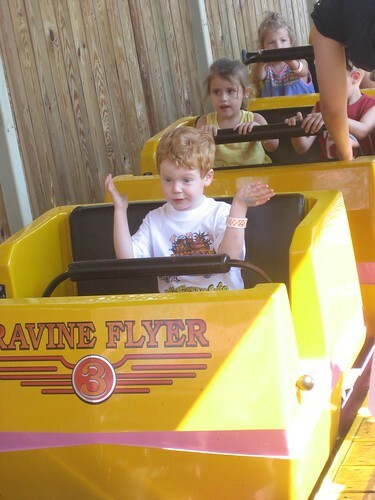 The roller coaster was definitely his favorite.